At Evesham Glass each and every door is bespoke and available in a huge variety of opening bi-fold configurations. Exceptional care is taken in designing our sliding folding doors for durability and long-term performance. 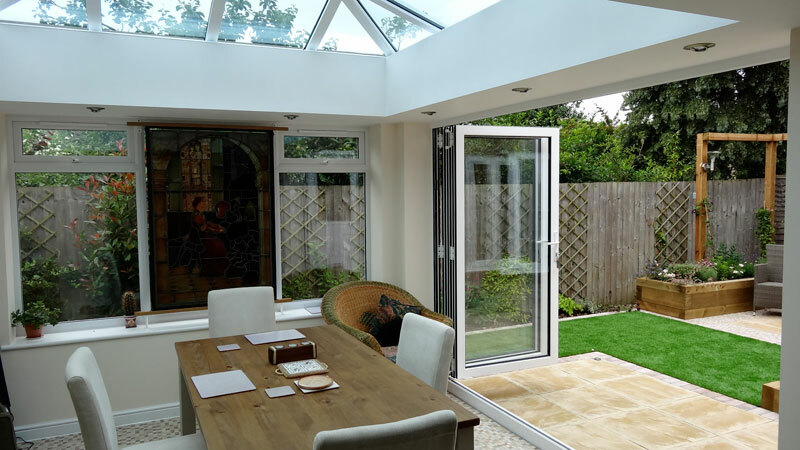 Evesham glass guarantee that your bi-folding doors will perform faultlessly for 20 years. Each bespoke door set comes with a unique serial number that guarantees the doors at the property for two decades. Not only are these beautiful doors stylish but they are practical. Keeping you warm in the winter as well as keeping your heating bills down. With a certified u value of about 1.3W/(m2K) we surpass the British Building Regulations by the industry leading 27%. This gives you more design flexibility on bigger projects, keeps your energy bills down and helps you to ‘stay green!’ Our uncompromising design has included the most advanced thermal breaks and weather tight seals, and our locking mechanisms ensure maximum compression for increased weather resistance. Safety is very important to us at Evesham Glass. That’s why we only provide the very latest in high performance and high-security multi-point locking systems. Our 8 point locking system conforms to demanding, police referred ‘Secured by Design’ standards. 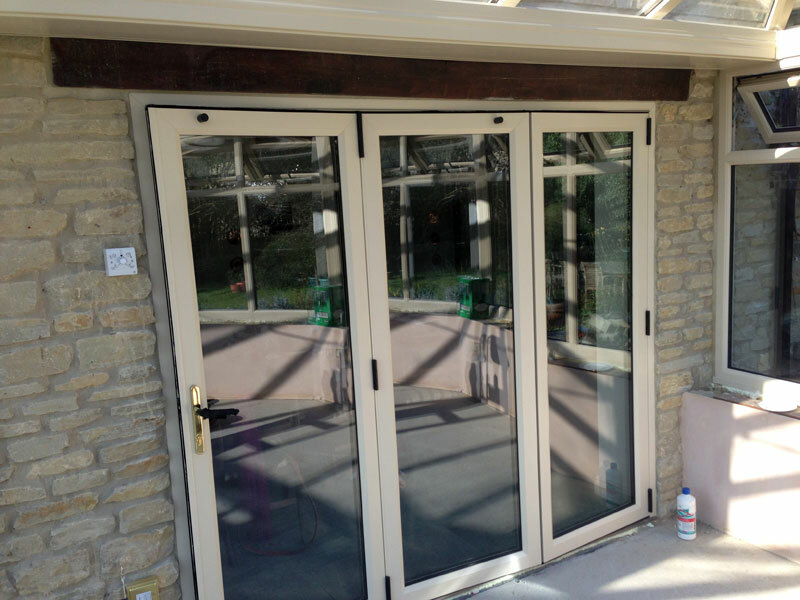 We supply UPVC doors as well as Aluminium Bi-folding doors, you would be very surprised at how efficient they are!